Service Features: Most lines offer the exact same phone chat service, we give extra credit to those chat lines that also include additional features such as offline messaging, web interface and smart phone app. Free Trial: Of course, the longer the free trial, the better. We consider the amount of free minutes awarded and the days until expiration. Chatlines offering more free minutes and longer expiration periods get better scores. Chatlines that constantly interrupt the caller with advertising pauses during their free trial and those that limit too much functionality to free callers are impacted negatively. Value: Chatlines with clear and straightforward pricing information, attractive packages and first time caller incentives is favored over one with ambiguous pricing. Chat lines that are found scamming, lying, phone cramming, and using other sneaky tricks to bill the caller are initially put on warning and eventually removed from the list if the practice continues. Call Volume: Our editors secretly call the chat lines during peak and off-peak hours to document the number of male and female callers reported to be online by each system. Using VOIP technology, our editors can access and measure the call volume in any local market in the US and Canada. Customer Experience: Probably the most influential metric we use to assemble this list is the actual feedback we get from avid chatline users like you. Our community of chatline aficionados routinely report their good and bad experiences to our editors through our online feedback submission form. Only the best chatlines make it into this list. 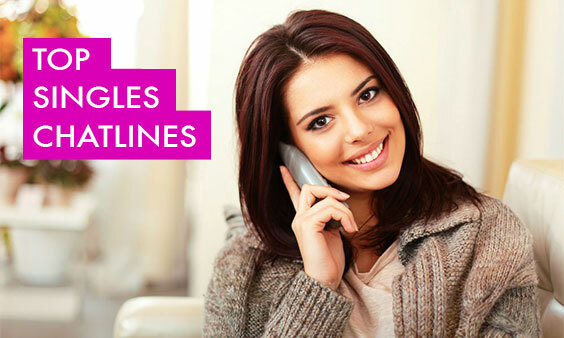 Take a look at our full list of chatlines with free trials to see all chatlines we’ve ever covered on the ChatlineGuide.